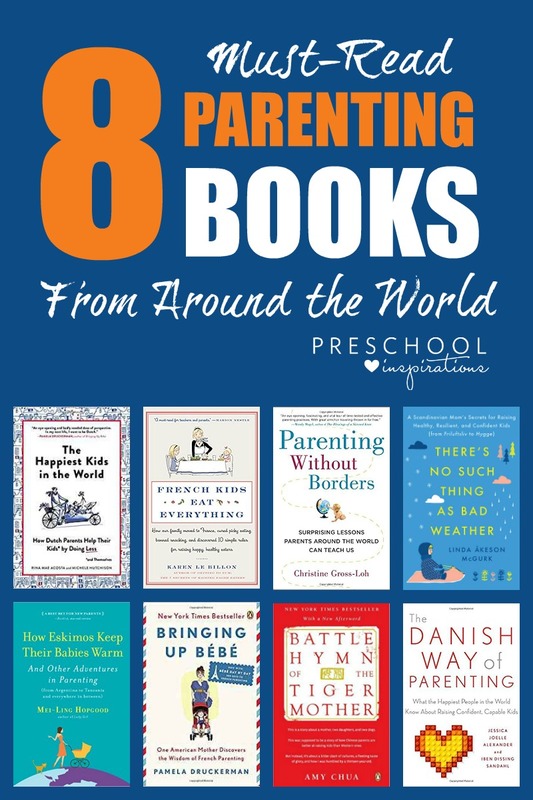 These eight eye-opening parenting books from different cultures the world challenge the idea that there is only one good way to be a parent. We all want to be good parents and raise well-adjusted, happy children by doing all the “right” things. But sometimes we forget that there is more than one good way to raise a child. When you think about it, the rules that guide our parenting choices are by and large cultural constructs. These rules can look very different depending on where we grew up. These eight parenting books all take a close look at the way parents raise their children in other countries. They also touch on how we can incorporate the best advice when we raise our own families right here in North America. The happiest kids in the world live in the Netherlands, according to this appropriately named parenting book. The authors are an American and a Brit who are both married to Dutchmen. But why are the children so happy? Is it the lack of homework? The unsupervised play? The child-centered culture and minimal pressure from school and parents? The fact that everybody rides their bikes everywhere? Or maybe all of the above, since the Dutch prize a “slow” lifestyle and good work-family balance. Some of that balance comes from government perks like generous parental leave. However, many of the lessons from this book can be applied in the U.S. as well. Most importantly, perhaps, that as a parent, doing less is usually more. When Swedish-born Linda McGurk moves to small-town Indiana with her American husband to start a family, she quickly realizes that her outdoorsy ways are not the norm. In Scandinavia, babies nap outside and children play outside all year round. In the U.S., she finds that the playgrounds are mostly deserted. Preschoolers spend their days watching TV or getting drilled to learn academic skills. Struggling to fit in, McGurk takes her daughters to Sweden for six months. Her intention is to find out if the Scandinavian philosophy of “there’s no such thing as bad weather, only bad clothes” could be the key to better lives for her American children. This lively, insightful memoir is the go-to book for all parents who question the prevailing culture of hyper-parenting. Parents who wish to give their children a simpler childhood filled with outdoor play should add this to their stack of parenting books. Pamela Druckerman, an American journalist living in Paris, is Initially skeptical of the French parenting culture. She is won over when she notices that, in France, infants sleep soundly through the night. Toddlers are adventurous eaters. Parents don’t hover over their children at the playground or elsewhere. In fact, French parents are far less involved in their children than their American peers. Yet they seem to raise children who are well-behaved, resilient and happy. All while staying more harmonious and balanced themselves. Druckerman begins to apply the French parenting secrets to her own daughter. Her eye-opening and often humorous account challenges some deeply held parenting truths in the U.S. The Danish, like the Dutch, consistently rank high on the happiness charts, and this book offers some key clues why. The authors are a Danish psychotherapist and an American journalist who is married to a Dane. They claim that it all comes back to the way the Danish people raise their children. This they sum up with the catchy acronym PARENT (Play, Authenticity, Reframing, Empathy, No ultimatums and Togetherness, or hygge). This book shows how a gentler, more empathetic parenting style can lead to more confident, resilient and well-balanced children. It’s full of common sense advice and ideas for handling specific parenting conundrums. Christine Gross-Loh sets out to find out what we can learn from parenting cultures around the world. She left knowing American children struggle with everything from their health and happiness to academic achievement. She explores the outdoor play of children in Finland, co-sleeping with babies in Japan, and the support afforded new mothers from fellow villagers in Kenya. The author challenges the notion that there is only one good way to raise a child. Her personal observations are backed up with ample research. The book is a boon to anyone who is willing to acknowledge that good parenting, to a large extent, is a cultural construct and look to other countries for good parenting advice. When Karen Le Billon’s two daughters were little, they subsisted on the carbohydrate and dairy-rich diet that has become so typical for North American children. French fries, pasta, buttered toast and Cheerios were some of the more popular staples. When the family moved to rural France for a year, Le Billon realized that children can eat healthy and enjoy it too. By implementing the French approach to eating and raising children – sometimes with the not-so-subtle help from French relatives and teachers – her daughters slowly start to savor foods like fish, broccoli, mussels and Roquefort cheese. This joyful and humorous book offers hope to parents who are tired of dinner wars. It gives them an actionable path to prevent and cure picky eating, along with several kid-friendly – and healthy – French recipes. Amy Chua set off a national firestorm and popularized the term “tiger mom” with her memoir. In it, she speaks about raising her two daughters the Chinese way. This parenting point of view looks at childhood mostly as a training period for a successful adulthood. Chua, herself the daughter of Chinese immigrants to the U.S., believes Western parenting methods are indulgent. She instead imposes strict rules on her daughters. Such rules including never allowing sleepovers, TV-watching, playdates or getting any grades less than an A. Brutally honest and often controversial (at one point, Chua threatens to burn her daughter’s stuffed animal during a trying rehearsal), the book runs completely counter to mainstream American parenting tenets. The author also shares her own vulnerability and struggles with the choice she’s made. When Mei-Ling Hopgod first moved to Buenos Aires, she was shocked at some of the parenting decisions Argentine mothers made, like letting their young children stay up late at night. When she becomes a mother herself, she decides to find out how other parenting customs around the world differ from the ones she had gotten used to growing up in suburban Michigan. She embarks on a journey to Tanzania, Argentina, China and other remote places. There, she interviews child development experts, sociologists and psychologists, as well as other parents. The result is an interesting and light-hearted look at the many ways parents around the world deal with challenges like potty training, sleeping, feeding, teaching and more. Do you have any favorite cross-cultural parenting books? Be sure to share them here, if so. This was made by the combined efforts of the Preschool Inspirations team!